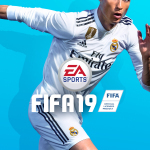 "The UEFA Champions League has been one of the most requested features from players for over a decade, and we’re so excited for one of the World’s biggest competitions to join The World’s Game in FIFA 19"
LOS ANGELES--(BUSINESS WIRE)--Today, at EA PLAY, Electronic Arts Inc. (NASDAQ:EA) announced the pinnacle of club football competition is coming to EA SPORTS™ FIFA 19* with the integration of the UEFA Champions League, as well as the additions of the UEFA Europa League and UEFA Super Cup on the PlayStation®4, Xbox One, Nintendo Switch™ and PC. In The Journey: Champions*, the dramatic finale of the narrative driven story mode, players will chase the UEFA Champions League trophy as iconic young footballer Alex Hunter, on PlayStation 4, Xbox One and PC. Alternatively, players can build their dream squad in FIFA 19 Ultimate Team™, featuring live and authentic content from the world's most prestigious club competitions, including the UEFA Champions League and UEFA Europa League. In PlayStation®4, Xbox One and PC gameplay, new features allow players to control the pitch in every moment, from tactical approach to each technical touch, including the all-new Active Touch System that changes the way players receive and strike the ball, 50/50 Battles where reactions and player attributes determine the outcome for winning loose balls across the pitch, the new Dynamic Tactics system gives players greater ability to setup their squads and customize their tactical approach, and more. 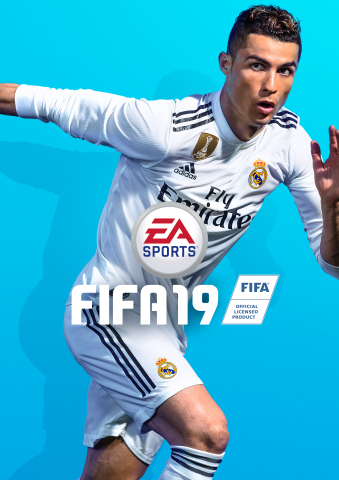 Returning as cover star is Cristiano Ronaldo, joined by the Brazilian superstar, Neymar Jr, for the FIFA 19 Champions and FIFA 19 Ultimate pre-order editions. Continuing to rack up top honors, Ronaldo took home this year’s Ballon d'Or trophy alongside a historic third consecutive UEFA Champions League title for Real Madrid C.F. making him the first player to win five UEFA Champions League trophies. Neymar Jr debuted with an electrifying first season at Paris Saint-Germain F.C. fresh off a world record transfer last summer. The Brazilian winger was named Ligue 1 Player of the Year and helped Paris Saint-Germain F.C. in their unprecedented domestic quadruple. Players who pre-order** the Champions Edition for the PlayStation 4, Xbox One, PC and Nintendo Switch™ will get three days early access, up to 20 Jumbo Premium Gold FUT Packs, Cristiano Ronaldo and Neymar Jr FUT Loan Items for seven matches, and more. Pre-order the Ultimate Edition for the digital versions of PlayStation 4, Xbox One and PC and get up to 40 Jumbo Premium Gold FUT Packs and more. All the pre-order details are available here. *** CONDITIONS, LIMITATIONS AND EXCLUSIONS APPLY. SEE ea.com/ea-access/terms AND origin.com/store/origin-access/terms FOR DETAILS. Xbox and Xbox 360 are trademarks of the Microsoft group of companies. "PlayStation" is a registered trademark of Sony Computer Entertainment Inc. Nintendo Switch is a trademark of Nintendo.